Webkit2GTK got an new update yesterday and it’s causing an issue where LightDM doesn’t load during boot. What logs are needed? I managed to circumvent it by installing the previous version, but will go back for the update to get the logs. Same issue here. As a workaround I have disabled lightdm and installed gdm and back into my laptop. I am still interested to see a workaround to keep lightdm running. Let me know the type of help I can provide. I have seen erors often with lightdm on this forum. Why not just insall SDDM. I have never had any issues. Customizeable. @dirkme I think it should be fixed. Yesterday was (again?) a new patch. For me it works know. I made the change to SDDM too, seems to work better than LightDM. I just wish it had a lockscreen feature. What worries me most is this pacman warning! I haven t looked (in pamac) if there s an equivalent for other desktops. @got-it-man , didn t know that. Got it man!!! Hello everyone! Its my first post in these forums. I am still a bit confused by this issue. I downgraded webkit2gtk package so that lightdm works again. I read that the issue has since been resolved. 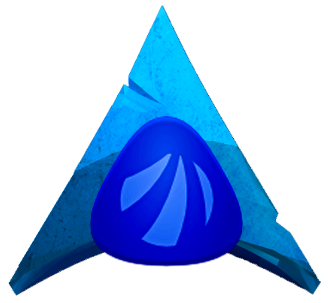 But I haven’t seen an update to the lightdm-webkit2-greeter package (my antergos install shows 2.2.1 as the latest version) nor any update to the webkit2gtk package other than 2.14.3 that caused the issue in the first place in my available updates. Should I wait longer for the updated packages or was the issue fixed in webkit2gtk 2.14.3 package and the version just didn’t change? webkit2gtk version is now 2.14.3-1. If this is the version you have, then the issue with “lightdm-webkit2-greeter” should have been fixed. Just updated to webkit2gtk-2.14.3-1 and the problem is still there. Just a black screen and a mouse cursor instead of lightdm. Had to downgrade again to webkit2gtk-2.14.2-2 to bypass the issue. Seems I should wait longer for another update or an update to the lightdm-webkit2-greeter package. I did a fresh install with a fresh ISO from last week. The issue was still persistent and ended up with a black screen. Took a console and updated my system. Ended with webkit2gtk-2.14.3-1 and the issue was gone. @DimitrisC I wanted to wait till next trouble, then I thought: why? So I did it already and it looks nice too.